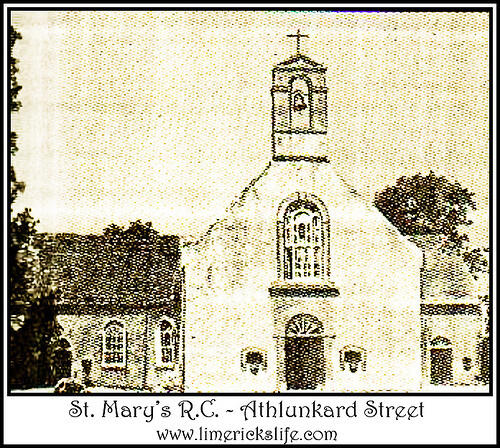 St. Mary’s Church, Roman Catholic, as we know it today was opened in 1932, it is located on Athlunkard Street. 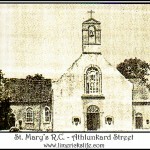 It replaced a previous chapel which had stood in this spot since 1748, having it’s first mass read on the 10th December 1749. All that remains of the original eighteenth-century church is the holy water font at the rear of the new church. This land was originally rented from Alderman Ingrim and replaced a rented Malt House which had been used by the local parishioners for worship. The new church was designed by Ashlin & Coleman of Dublin at a cost of £40,000. 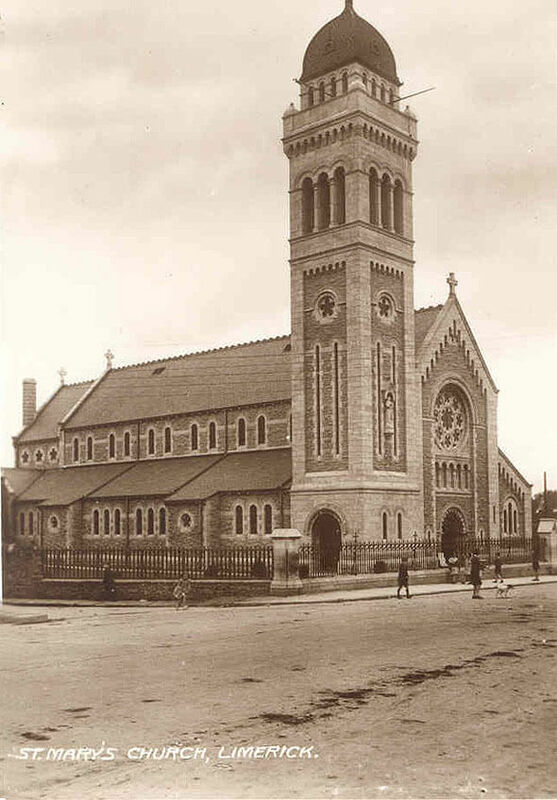 The foundation stone was laid on the 11th May 1930 by the Bishop of Limerick and the first mass took place in 1932.